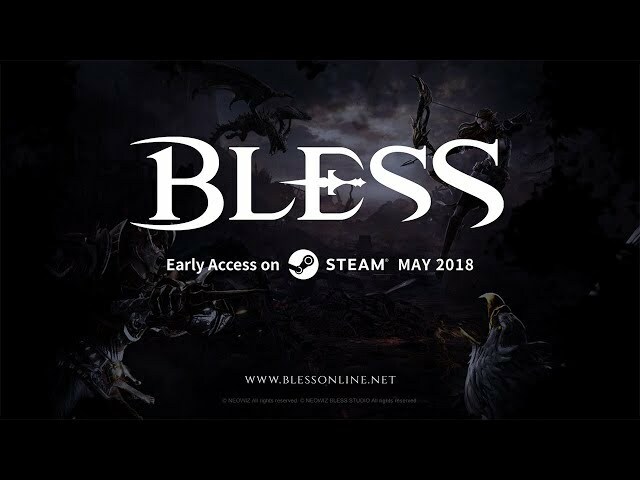 Today, Neowiz is proud to announce that Bless Online will arrive on Steam’s Early Access platform this May. On top of that, the epic MMORPG will be Buy-to-Play (B2P) - meaning players only ever have to pay for Bless once and will be able to play it as long as they want without spending another dime. The brand new website details all of this, along with the innovative new Emissary Program to help build and cultivate the community for Bless Online. “We heard our players, and we’ve made our decision. We chose Buy to Play as our monetization model because we truly believe it’s the best option for our players, while making sure you don’t need to maintain a subscription to keep up with the constant stream of new content we’ll be adding to Bless.” said Sungjin Ko, Executive Producer of Neowiz Bless Studio. Developed by Neowiz Bless Studio, Bless Online represents a classic fantasy MMORPG with a focus on epic stories, massive battles, fast-paced combat, and intense PVP and PVE content. A completely redesigned Hybrid Combat System with Action Combat or Tab-targeting options, an extensive taming system that allows you to bend almost every monster to your pets or mounts, and a deep PVE raiding system to go alongside the epic RVR castle sieges. Two factions vie for dominance in a world torn asunder by its own gods. Play as one of seven unique races and seven diverse classes as you start from nothing and rise to fight against your mortal enemies.